When it comes to the environment, there are many issues that arise directly from the use of natural resources for industry and human society. This not only includes simple concepts like cutting down trees to obtain wood, which can be easily monitored and mitigated, but also more complicated ones such as the burning of natural resources to produce energy, which emits greenhouse gases into the atmosphere. Every person in the world contributes to the rising amount of greenhouses gases. GHGs are on the surface of the Earth which like a blanket that traps heat and ingress earth surface temperature. An increased concentration of atmospheric greenhouse gases can contribute to climate change, but still, a true understanding of the effect of climate change can be hard to comprehend. As the effect of climate change cannot be easily seen, people find it difficult to understand the dangers that can occur as a result. Climate is the average weather in a place over many years. While the weather can change in the just a few hours, climate takes hundred, thousand, event millions of years to change. Climate change refers to the changes in the global climate which result from the increasing average global temperature. Global warming refers to a long-term trend of a rising average global temperature. Or a gradual increase in the average temperature of Earth surface. Global warming is the term used to describe the climate increase in the earth’s average temperature. Climate change refers not only to a global change in temperature but also to change in wind, precipitation, the length of seasons as well as the strength and frequency of extreme weather events like drought and floods. Climate change has already had noticeable effects on some parts of the globe. The melting of the polar ice in northwest Alaska, has been detrimental to the wildlife, which is a source of food for the locals. Local village there are suffering from this loss of wildlife, in addition to the rising sea levels near their homes and believe that relocating the entire town over the next few years is their only option, which could cost millions. For the rest of the world, one of the reasons why a similar impact is not being observed is due to the ability of the Earth to absorb heat. The oceans absorbs a large amount of heat and greenhouse gases, removing them from the atmosphere. Also, polar ice caps keep the oceans cool, and the ice in the poles serves as a buffer, which prevents the ocean from heating up. In the Earth’s climate system, when the oceans absorb a large part of heat from the atmosphere, most of that heat is absorbed by the polar ice. This has been a key factor in delaying the effects of climate change. ISO 14001:2015 was released on September 14, 2015. This updated standard for environmental management addresses the ever-changing nature and understanding of anthropogenic environmental problems. Revisions to ISO 14001 include life-cycle thinking and inclusion of the Annex SL, which will also be important for the update of ISO 9001. So what exactly does ISO 14001 have to do with all of this? 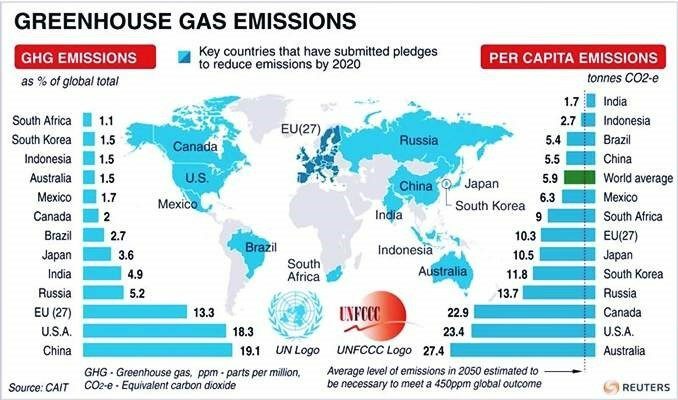 Greenhouse gas emissions, similar to many environmental issues, have occurred at extreme amounts from a lack of care for the environment. Strategy and planning have been poorly utilized for waste or related externalities until recent years. Some of the key revisions to ISO 14001 are in direct opposition to this past point of view, including a greater commitment from leadership, an increased alignment with strategic direction, and more effective communication. The concept of life-cycle thinking, to limit the amount of greenhouse gas emissions by reducing the options for emissions in excessive amounts during the different stages of the product life-cycle has also been introduced in the newest version of the standard. ISO 14001’s structure is being brought into line with other ISO management standards for improved continuity, which will be good news for those with multiple standards in place too. As such, we can be sure in terms of real changes to expect. The real challenge for some will be the focus on incorporating the environment into the core thinking of the business, which can only happen with Top Management involvement. As a result, those responsible for their ISO 14001 environmental management system will need to have access to the leaders of the business and the confidence to challenge them. While an ISO 14001 certificate provides external value in the shape of a marketing and competitive edge, the new ISO 14001:2015 is a great opportunity to benchmark your organization and ensure green efforts are truly delivering to the bottom-line. 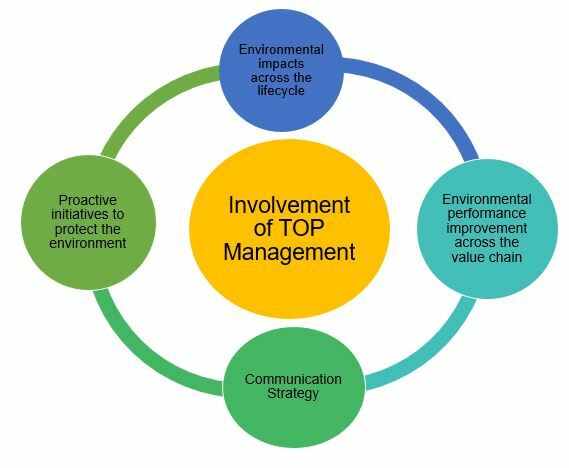 Support from both management and all staff will undoubtedly make the impact of a new and improved Environmental Management System far greater when everyone is singing off of the same hymn sheet. If you hold certification to ISO 14001 already, then it’s time to start planning for the transition to the new version.